How cute is this story?! ADORABLE! This story has so many possibilities. There is even an “APP FOR THAT”. It has been awhile since I’ve made a TPT product so since this story has SO MANY POSSIBILITIES, I decided to make a Book Companion. 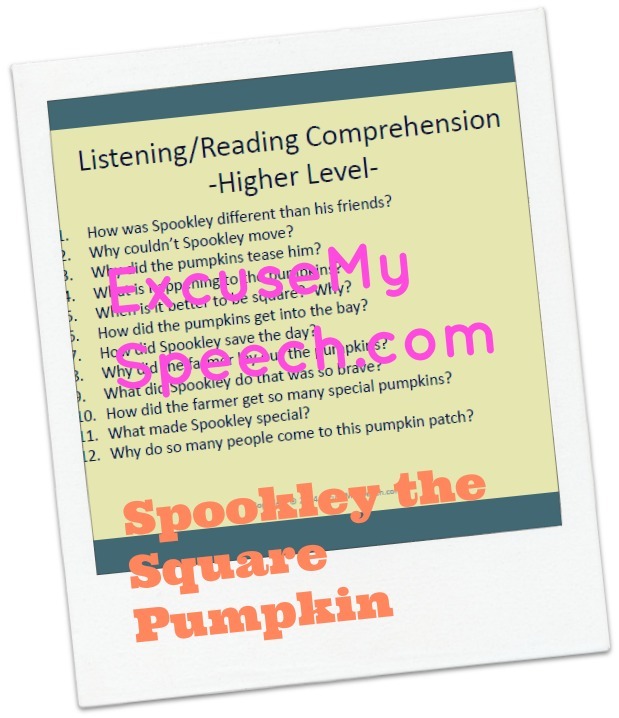 Have fun using SPATIAL concepts with Spookley. on TV or watched the movie so they were familiar with the story line. It was actually nice to see that my students were finally successful with answering questions about a story. 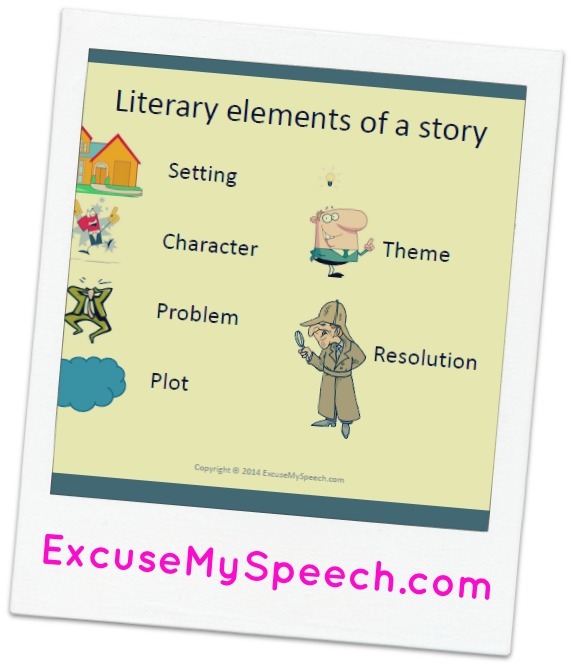 I love targeting Story Retell. 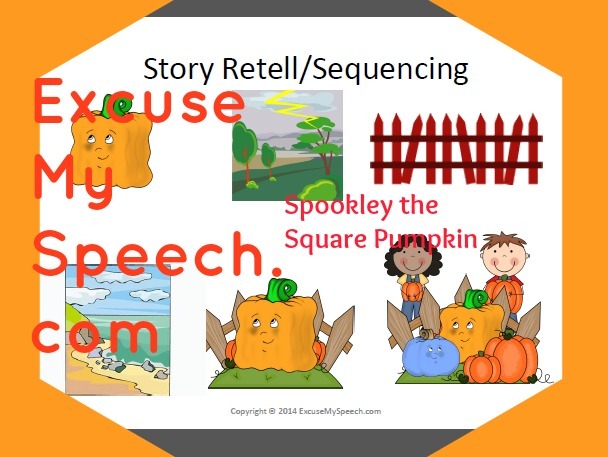 Story Retell is a very important Expressive Language skill. 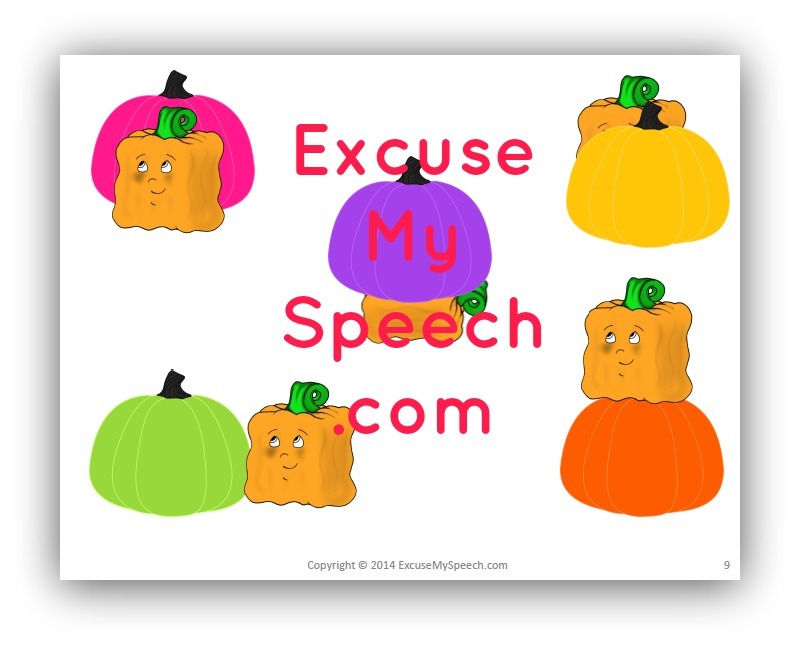 My TPT product has 2 different VOCABULARY activities. 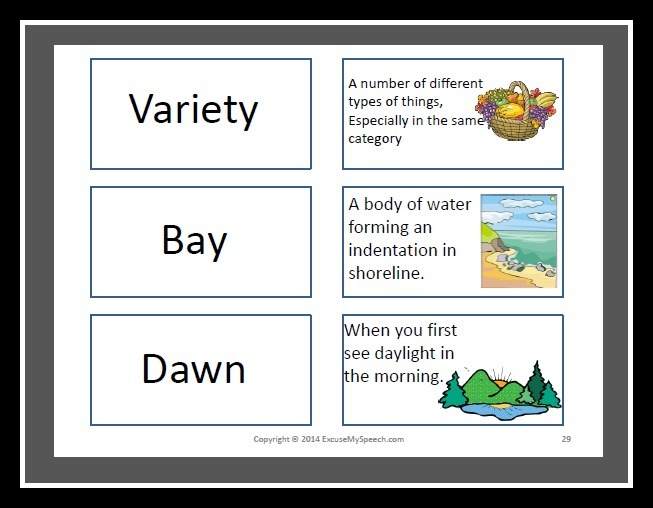 Here is a pic of some of the flashcards. You can find the TPT product HERE. 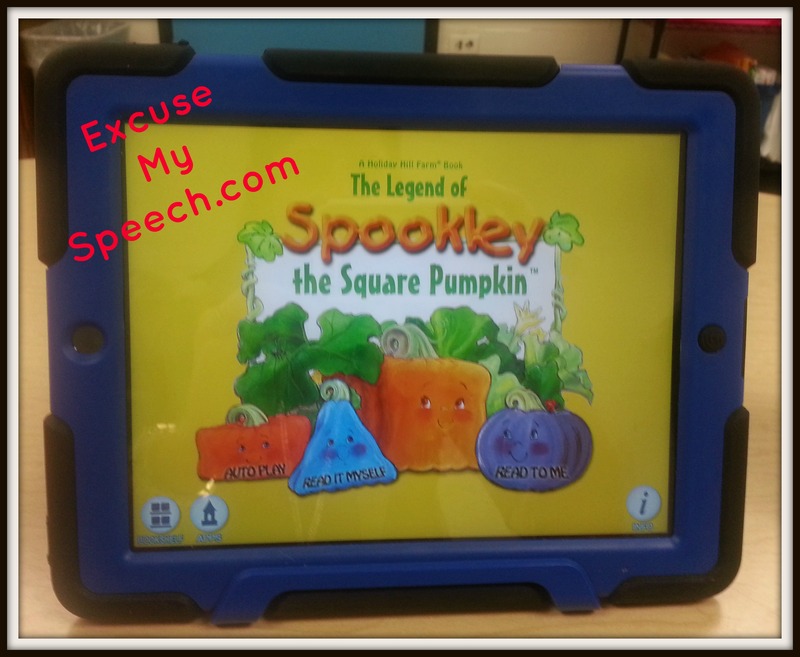 How do you use Spookley in speech therapy? 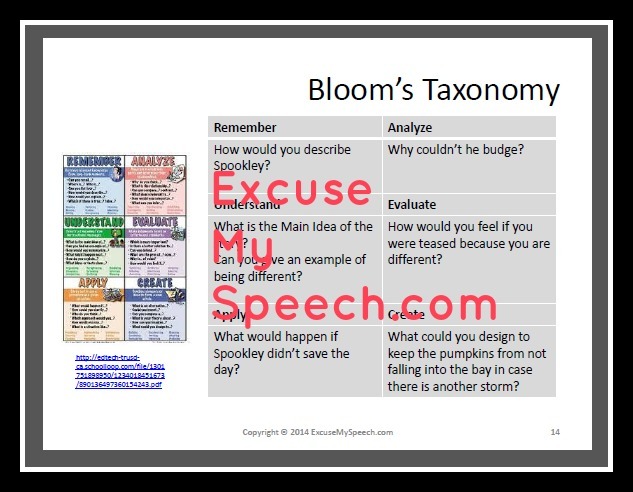 **I linked up with Old School Speech – She used Spookley in Speech too! This is fantastic! What is your username on TPT? Please make more book companions!